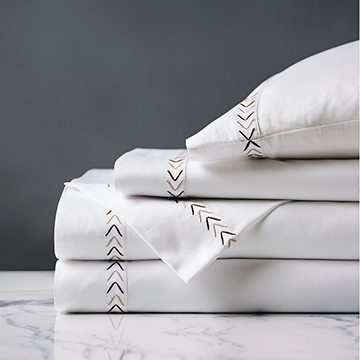 Add some graphic panache to your bedding ensemble with linear Miri Coffee. 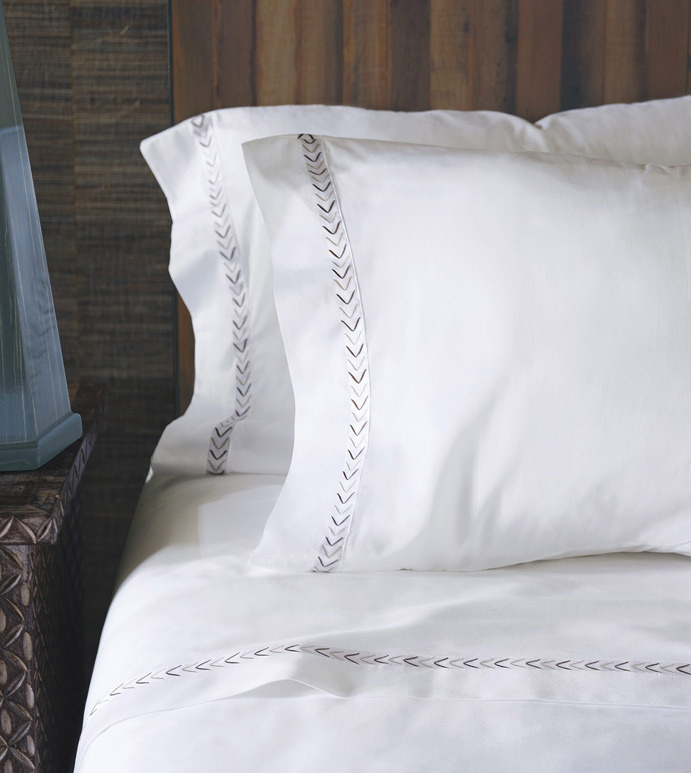 Featuring embroidered arrowhead detailing in coffee and sable tones, it is an understated yet sophisticated addition to traditional and modern bedrooms alike. 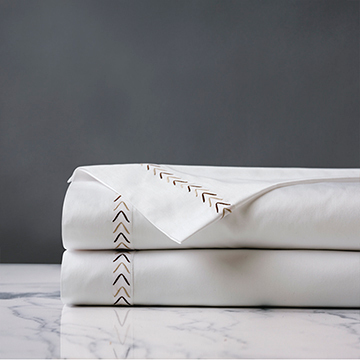 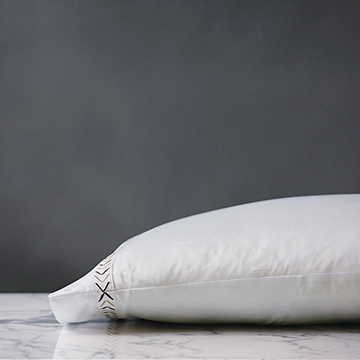 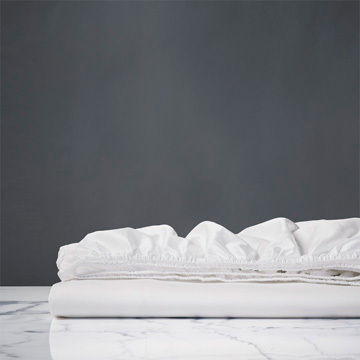 Its 300 thread count sateen fabric is silky-smooth and perfectly luxurious.